Rating. 3.5A novel about time traveling. 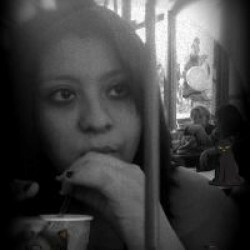 TIME TRAVELING. That was enough to hook me up. Hourglass is one of the most unique YA books out there. I was definitely intrigued by the whole Time powers that were going on through out the novel. The reason I didn't loved this book was because with such interesting plot I felt that somewhere around the middle the plot stop revolving about the problem & it became more about the romance. Don't get me wrong, I loved Michael, but there are love triangles & romance in all YA books. But NOT all of them had such an unique story-line. And the romance, in my opinion, was not very different from any other. 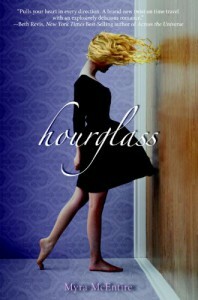 Other than that, Hourglass is definitely original & definitely worth reading.